Elevate your Christmas decor with plenty of cash left for gifts under the tree. 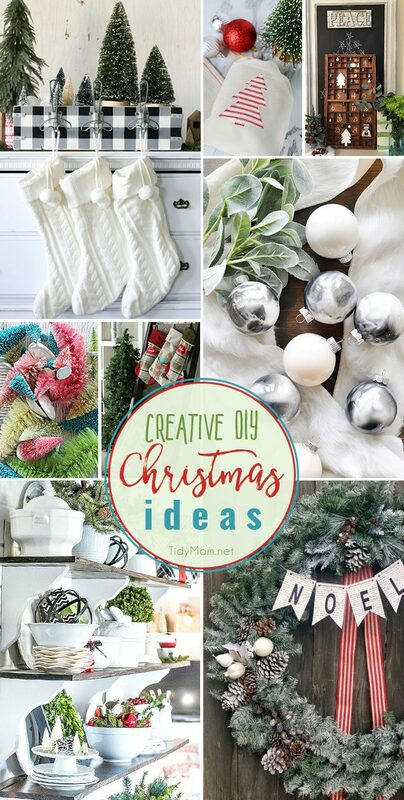 These Creative DIY Christmas Ideas will make your home merry and bright and have them asking where you shopped for your holiday home decor! 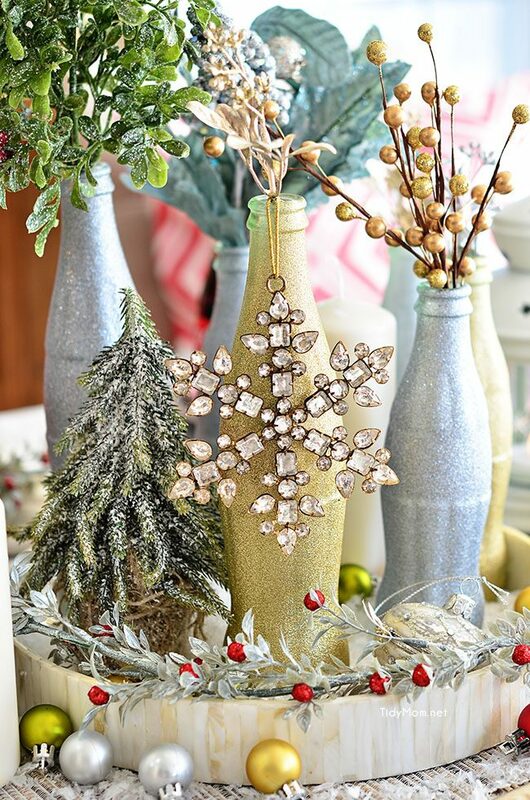 Why not give some of these holiday decor ideas a go! DIY Stocking Holder tutorial at Lolly Jane. This easy buffalo checked painted stocking holder is right on trend for Christmas this year! Heat N Bond Holiday Gift Bags tutorial at Today’s Creative Life. This no-sew project is perfect for people who don’t sew. Farmhouse Advent Calendar tutorial at Refresh Restyle. Turn an old printer’s tray into a custom advent calendar! How to Bleach and Dye Bottle Brush Trees at Southernly Splendid. If you love vintage bottle brush trees, but can’t find them in the colors you want…..learn how to get the pretty shades you want. DIY Stocking Ladder tutorial at Gluesticks. No mantel? No problem! This beautiful ladder is perfect for hanging stockings with rustic charm. When Christmas is over you can use it to display quilts! Choosing and Using Faux Christmas Greens in Your Home Decor at Stone Gable. There is an easier way to bring the beauty of Christmas greens to your home without all the mess. Learn how to choose and use faux Christmas greens so they make your home merry and bright! How to flock a Christmas Wreath at TwelveOeight. Give an outdated wreath a little TLC and you’ll have a flocked wreath 2017 style!! This is week 386 (7.5 years) of hosting this I’m Lovin’ It linky party. 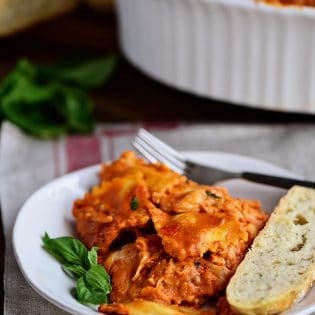 Each week I feature some of the posts that caught my eye from the previous week. Please take a moment to visit the featured blogs ……..then scroll down to see what’s being shared this week. 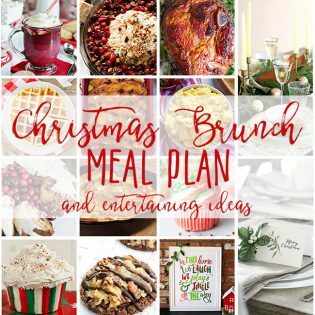 MORE CREATIVE DIY CHRISTMAS IDEAS TO INSPIRE YOU! 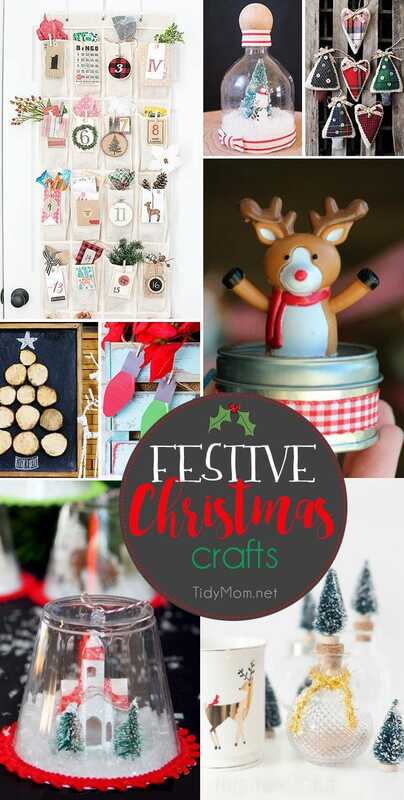 Festive Christmas Crafts to get you in the holiday spirit that the whole family will love. Most of these ideas can be made in no time at all. Glitter Painted Holiday Centerpiece. Recycle empty Coke bottles with a little glitter paint and some holiday florals! 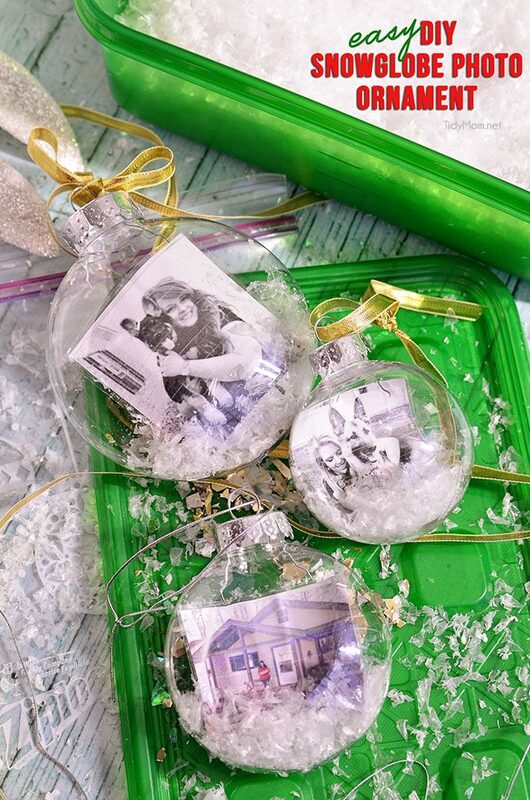 Easy DIY photo snowglobe ornament tutorial. A fun easy project and will make a wonderful personalized gift, addition to any tree or tie one onto a gift for extra special gift wrapping.